At H.L. Healthcare, we believe the Quality of our Products is the key to Success, thus, we commit to provide the superior Quality with International Standards for Healthy Life. H.L. Healthcare has products which meet the highest quality standards with complete compliance with strict GMP and WHO norms. We are involved in the continue evaluation of our products either from the third party analysis or within house quality management team. Apart from this, good attention is given on the innovation as well as improvement of existing quality of products. 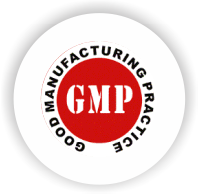 Through WHO and GMP certification we have the highest degree of confidence in the quality of our product range. Each person working at H.L. 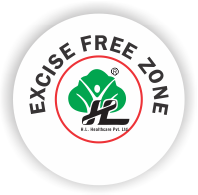 Healthcare is accountable for the quality of medicine which is manufacture or developed under our brand name. Therefore, the quality is kept on focus right from the procurement of raw material up till the storage. 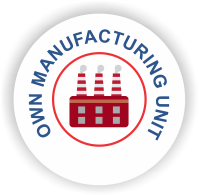 We use the best possible manufacturing facilities which is well wised technically. Our laboratory is equipped with the best testing equipments for stringent quality analytical tests. Our company policy is simply to maintain an effective quality assurance and management system in compliance with authorities and regulatory bodies. We provide the high quality services at the competitive level which makes us stand out from contemporizes. To achieve client’s satisfaction is our ultimate aim and this aim is met by quality products, timely deliver, by delivering correct order with quality packaging. 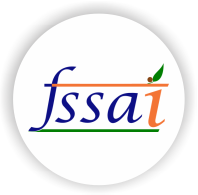 The quality assurance manager is responsible for the entire quality procedure and to ensure to work or support product quality as well as customer safety. The employees, colleagues and the works have proper training, education, experience and skills to carry out the work with complete conviction. Every work in accordance to the application of regulations by authorizes and quality polices by H.L. Healthcare. All the date, documentations and records are stored or managed according to the regulations which are applied. Methods to make sure the product integrity and safety of patients and customers are not compromised by keeping it in place with complete consistency. Keep sight on the quality and hygiene of components, molecules or raw material provided us by our vendor. H.L. Healthcare Pvt Ltd is honored with the trust and appreciation of its customers and pharma associates. We worked professional and gained the trust and satisfaction of our customers. This motivates us to constantly look after and improve the quality of our products along with the quality services. The best quality of products is confirmed by the citification which our management has got. H.L. 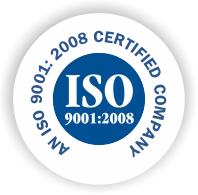 Healthcare has got the quality management certification from system ISO 9001:2008 which is with us from the years now. Focusing on the requirements of Pharmaceutical industry specifically, we are the best pharmaceutical Company in India for PCD Pharma Franchise business. The Company has successfully implemented the WHO and GMP system for manufacturing and storage of medicines.